Only a few more days remain until school starts and the college football season kicks off. As the end of summer approaches, GREAT opportunities continue for local anglers! In fact some of the best fishing of the year is happening …. now! Lots of Spanish mackerel and taylor bluefish are feeding in Chesapeake Bay tidal rips near the Chesapeake Bay Bridge Tunnel. 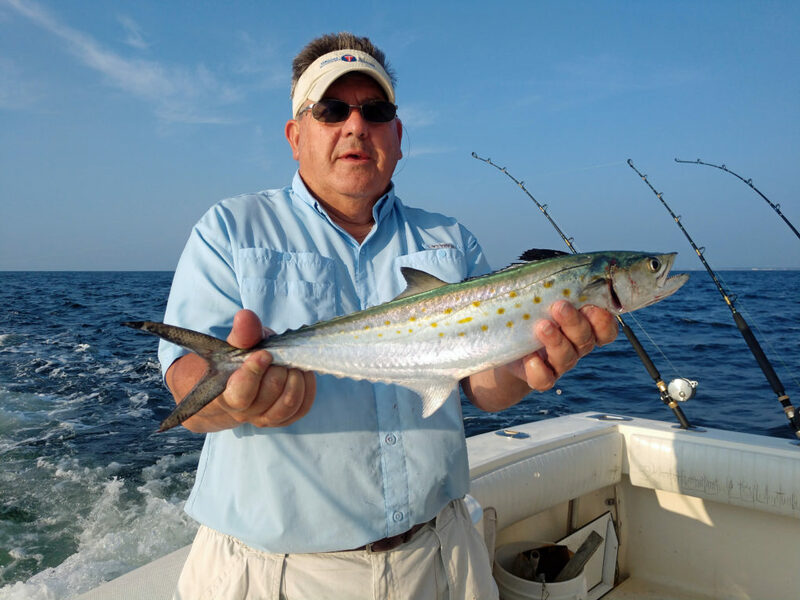 The spanish mackerel fishing has also been especially good along the oceanfront near sandbridge where there have also been reports of some nice kings! …. Keep an eye out for cobia, the brown suites are hanging around the same areas. Spadefish and sheepshead are on Chesapeake Bay structure. Some nice flounder have been caught, the Virginia Saltwater Fishing Tournament recently registered a 10-pound 4-ounce flatly, caught inside Lynnhaven Inlet. Lynnhaven and Rudee inlets are also holding some speckled trout, puppy drum and large bluefish. 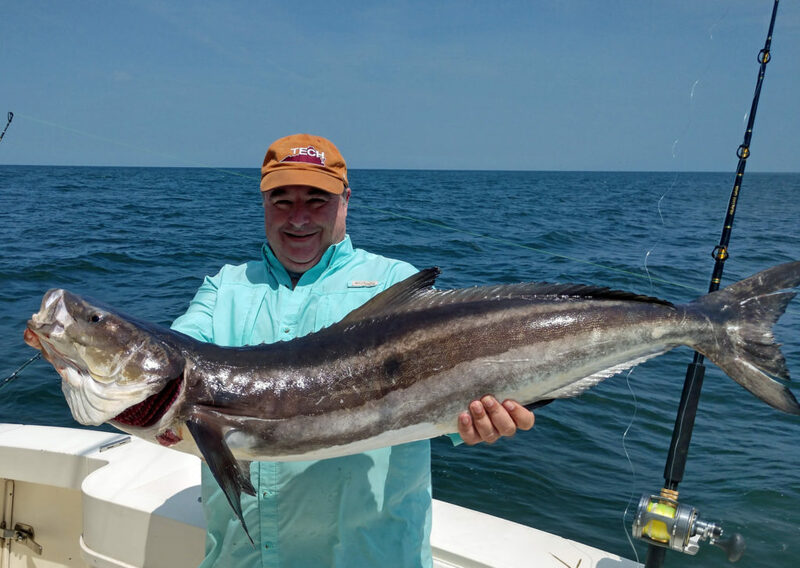 Cobia and big red drum catches remain good. Both are on the shoals over on the Eastern Shore. Croaker, sea mullet and flounder are in Eastern Shore seaside inlets and on the bayside as well. Tarpon are being caught in their usual Eastern Shore holes. Croaker are available throughout the lower bay and more small spot are starting to show. Look for spot and croaker sizes to increase as September approaches. The coastal wrecks are holding flounder, spadefish, triggerfish, sea bass and sandtiger sharks. Pier and surf anglers are finding sea mullet, pompano, spadefish, small flounder, and a few spanish mackerel. Cobia and red drum are a possibility. Offshore billfish action is heating up just in time for the local tournament season. Mahi mahi are being found around inshore seamounts like the hot dog and a few wahoo are being caught along with an occasional tuna. Swordfish are available to those targeting them. There should be plenty of amberjack holding on the Chesapeake light tower and south tower. Deep-droppers are finding excellent numbers of both golden and blueline tilefish, along with sea bass.